Click on the text above “Crab fisherman on strike for $3 a pound…” to see this entire post. Another crab season is upon us, like last year it is far from “normal”. But then again, with respect to the global environment, normal is undergoing radical changes. 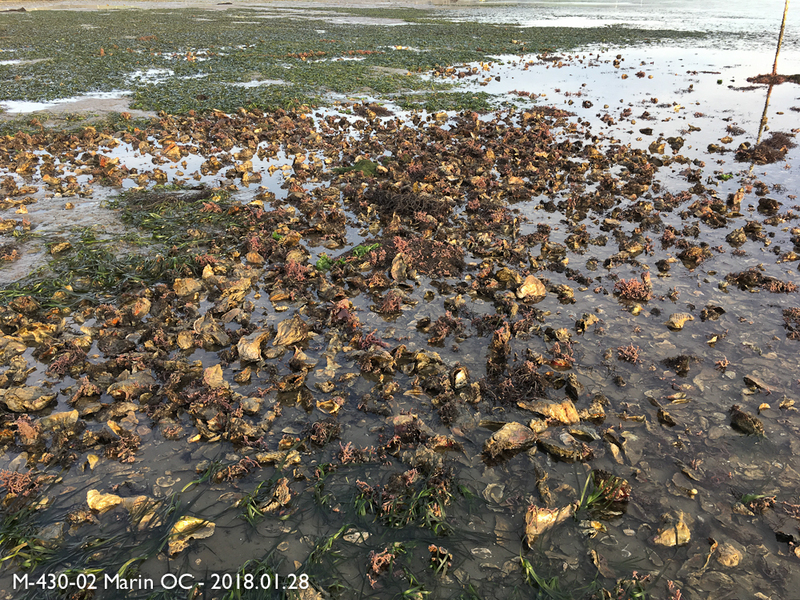 Last year the season was delayed for months due to toxic levels of domoic acid in crab flesh (along with many other sea creatures). 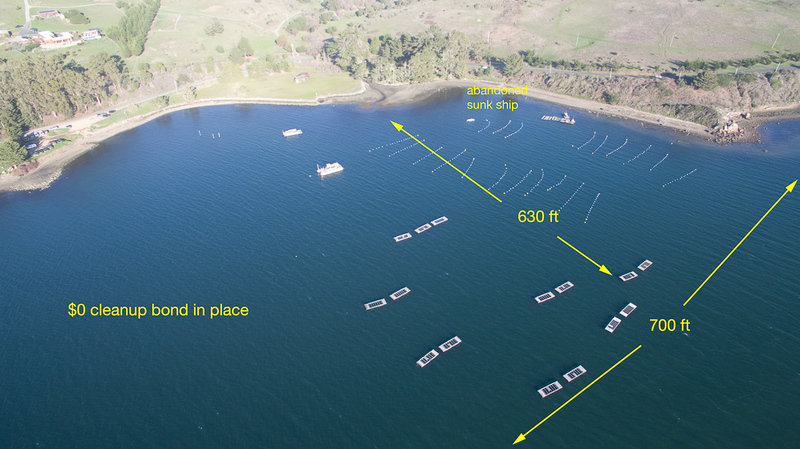 This year the agency tasked with regulating crab fishing, the California Department of Fish & Wildlife has sequentially opened small regions of the California Coast to fishing as domoic acid levels drop below safe thresholds. Instead of one price negotiation at the beginning of the season, wholesale buyers have decided to hold new talks for each region that opens up for fishing. 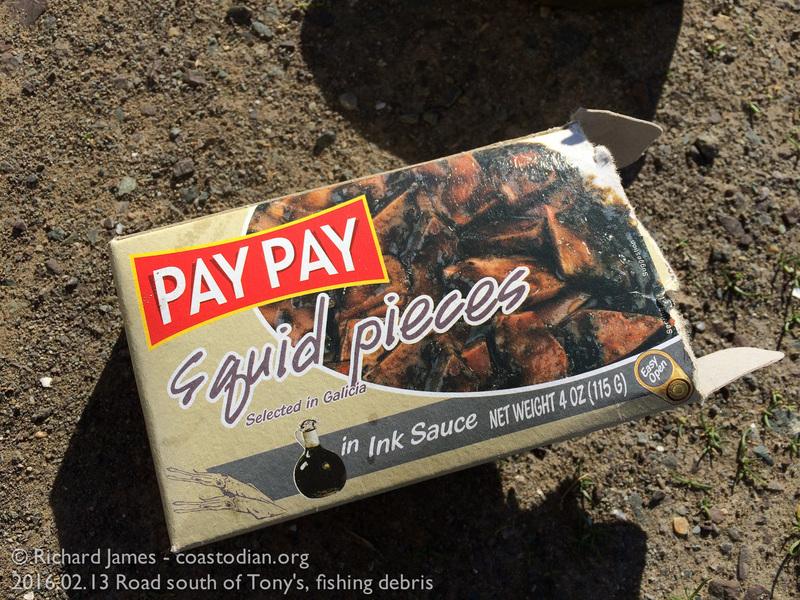 Bodega Bay fisherman are none too happy about this and have gone on strike. Fisherman want $3 a pound, buyers are offering $2.75 a pound. Crab fishing is a boom and bust proposition, a few good years followed by a few not so good years. Fisherman try to offset these declines with a good salmon season, though “good salmon season” is a bit of a contradiction in terms of late. Humans have for decades damned rivers, denying these ancient fish the spawning grounds they need, diverted water from rivers to give farmers water so they can grow almonds, cotton, pistachios and other high margin crops in what was originally the California desert. 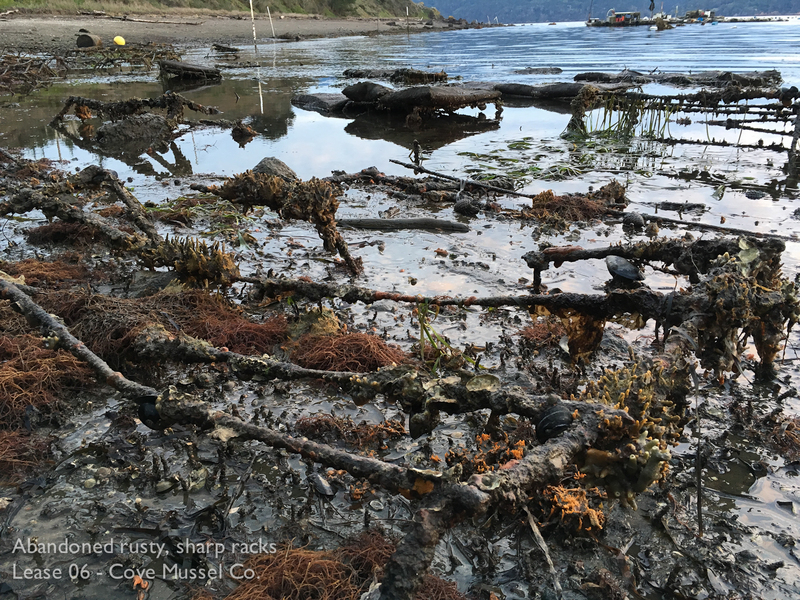 Pesticide and Herbicide use, clear-cut logging and creek-side construction have further degraded the environment to the point of near extinction for many historically huge salmon runs. Both Salmon runs and crab populations are under attack, by humans! Instead of asking for $3 a pound, I advocate crab fisherman hold out for $6. Give fisherman $3 for each pound and put the other $3 into a fund used to undo the damage we humans inflict on the sea with our insatiable appetite for, well, damn near everything. Think of it like a carbon tax. The new crab tax. 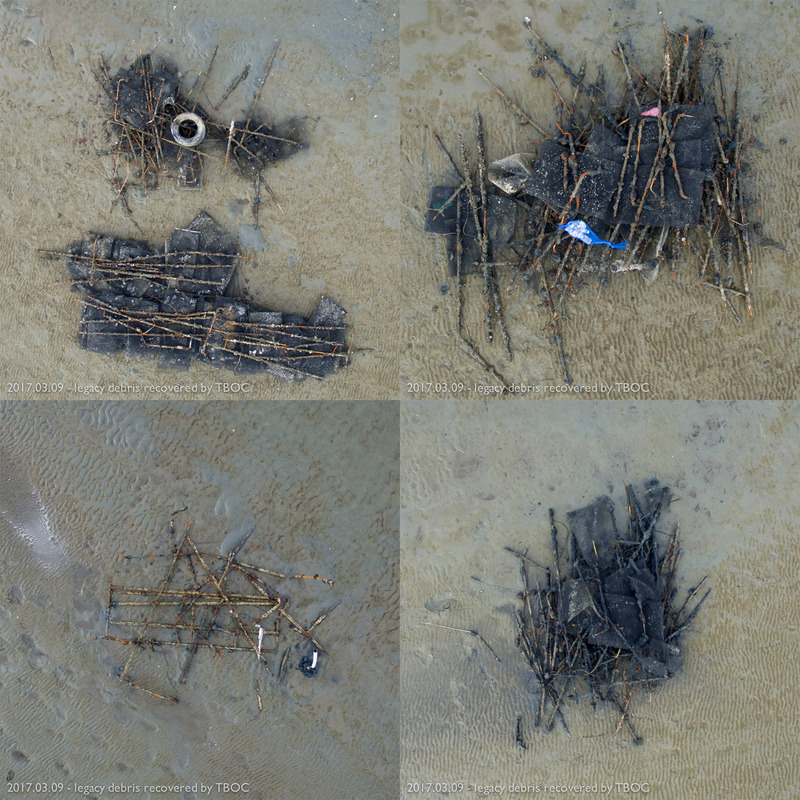 Set aside money for people like myself and the legions of others that walk our beaches picking up the mess of plastic ropes, plastic bait jars, plastic foam floats, crab traps left on our beaches each crab season to be ground in to a plastic soup by wave action. A soup that becomes part of the food chain of the planet See this post from two years ago for images of what crab fishing does to Point Reyes National Seashore each year. Research on how to collect crabs without endangering whales could be funded with this crab tax. 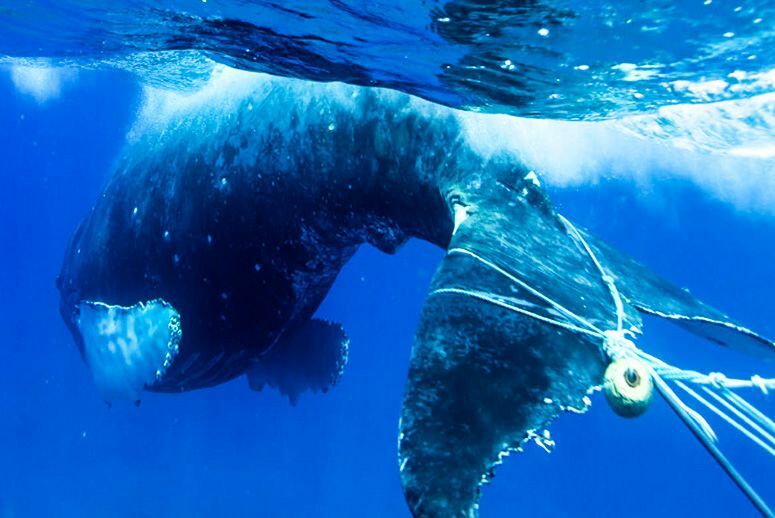 Thankfully California has for the first time enacted a law that allows crab fisherman to collect abandoned gear after the season closes to reduce these horrible entanglements (and often deaths) caused to whales and other sea-life. 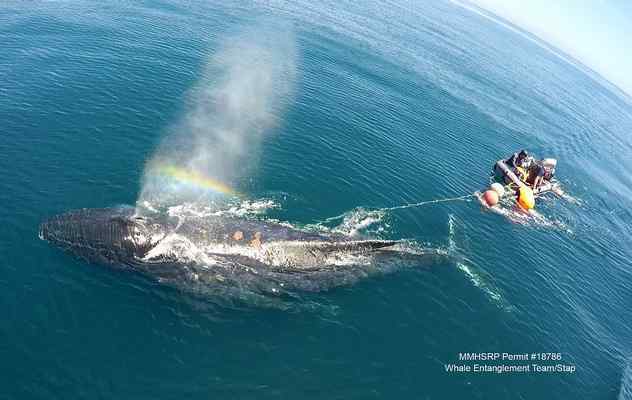 Whale entanglements on the West Coast rise again in 2018, is this the new normal? While we are thinking clearly and proposing that human harvesting activities pay the true cost to the planet, let’s double the price of salmon and oysters, clams and mussels. Set aside money to be used to clean up the messes we have made, and then figure out how to stop making new messes as we feed ourselves. Four damns are soon to come down on the Klammath River, opening up over 300 miles of historic spawning grounds to a salmon run completely wiped out 80 years ago. Let’s restore the natural river habitat that nature found worked, instead of trying to use science to build fast growing salmon. Another view of this troubling news here. In a few months the California Dept. 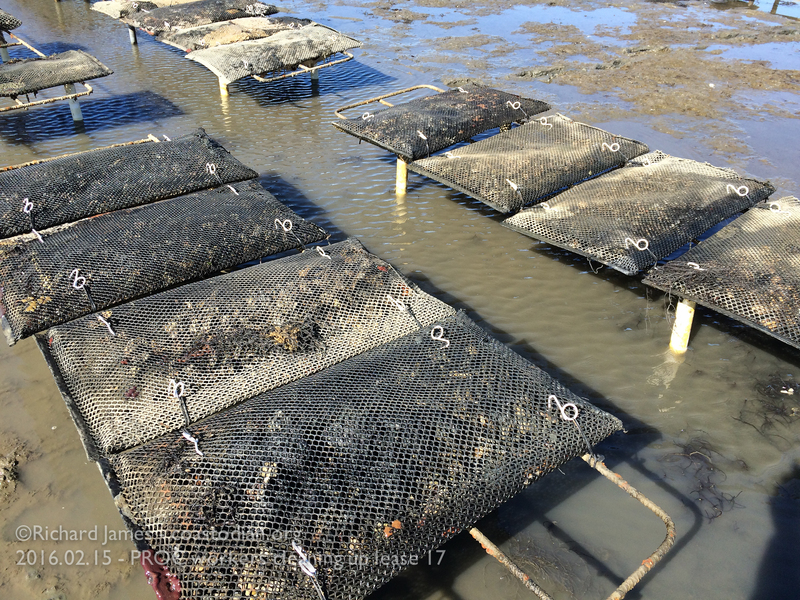 of Fish & Wildlife will be holding a meeting to discuss Best Management Practices (BMP) for oyster growers in California. A long needed set of common sense rules for an industry that has historically been operated in a “wild west” sense, with lax or little oversight. Please watch this space for an announcement on where and when that meeting takes place so you can voice your support for common sense rules in all leases for use of public lands/waters to profit by private companies. Send me your email address if you’d like to be notified. 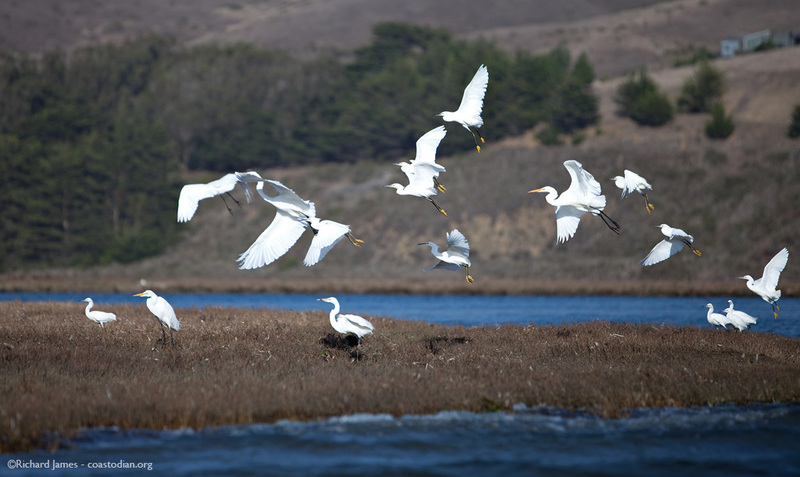 Great and snowy egrets in flight. 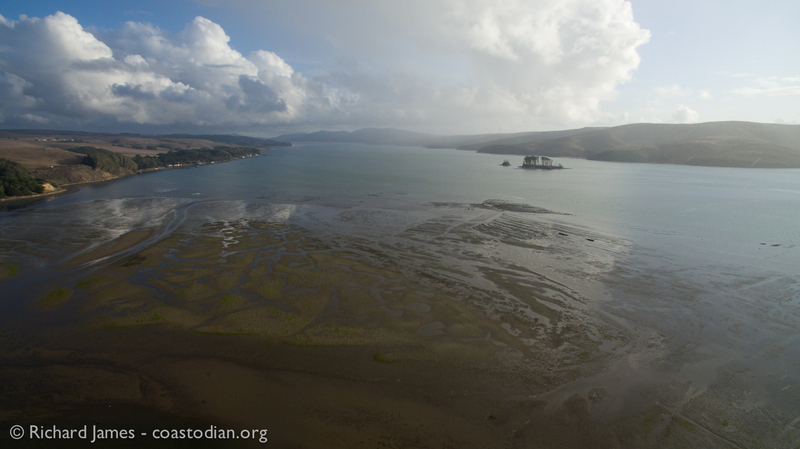 Tomales Bay, mouth of Walker Creek. 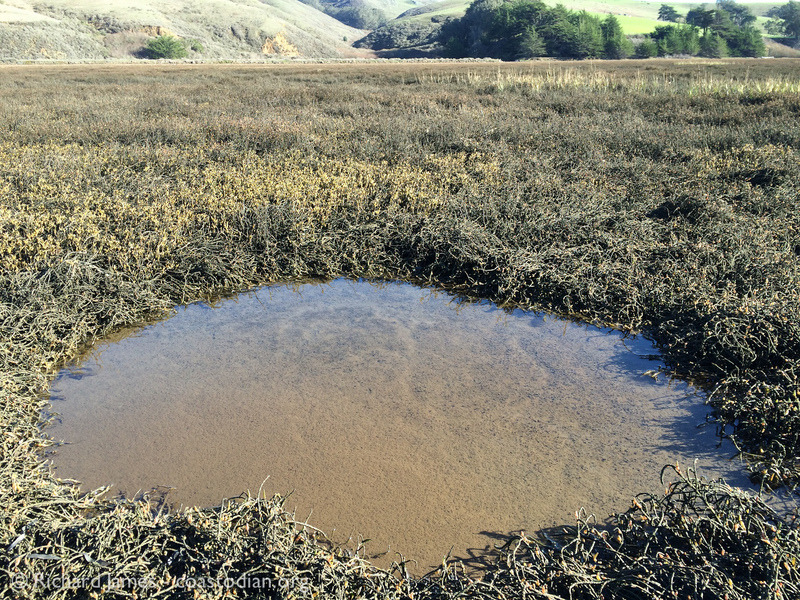 Click the words above “Respect Tomales Bay – Best Management Practices” to see this entire post. 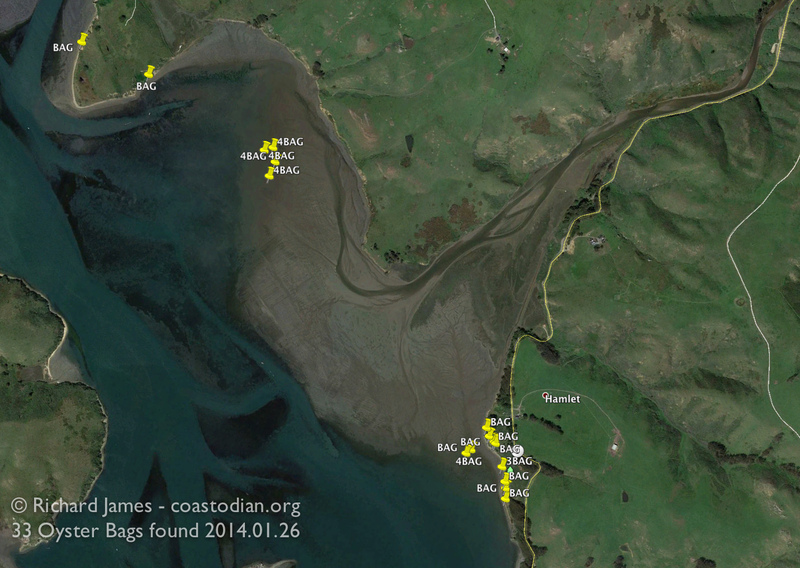 First, there is a name change to these related posts about the health & beauty of Tomales Bay. 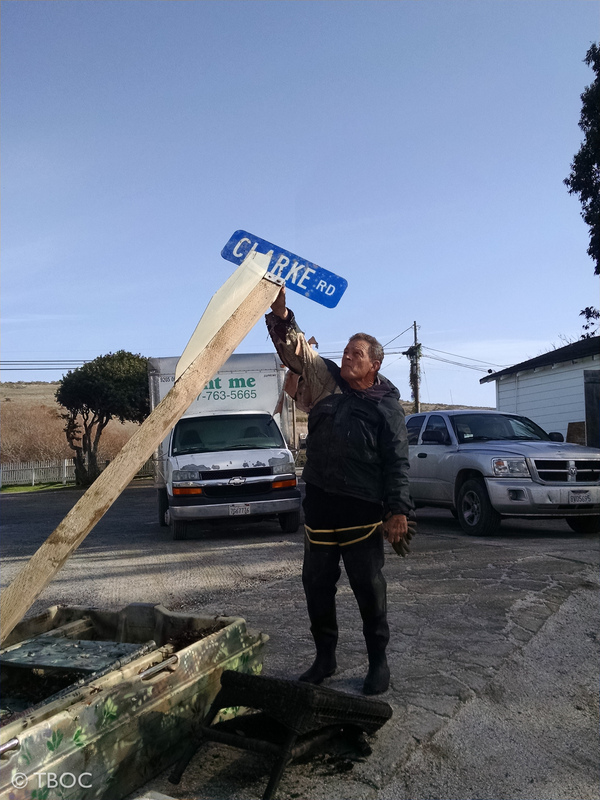 Initially, I published some words and pictures under the title “Save our Tomales Bay” meant as a parody on the many black & white & blue signs that sprung up along the coast like toadstools a few years back in support of what is now history, except for the mess that still rests on the bottom of Drakes Estero. 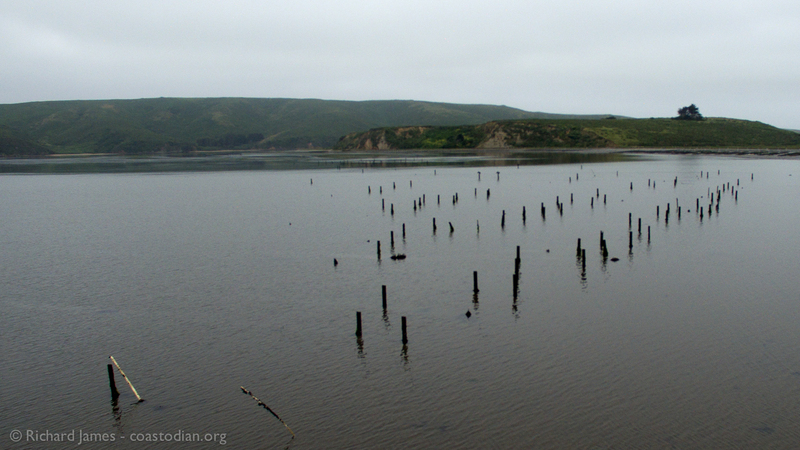 From now on, these posts will start out with “Respect Tomales Bay”. 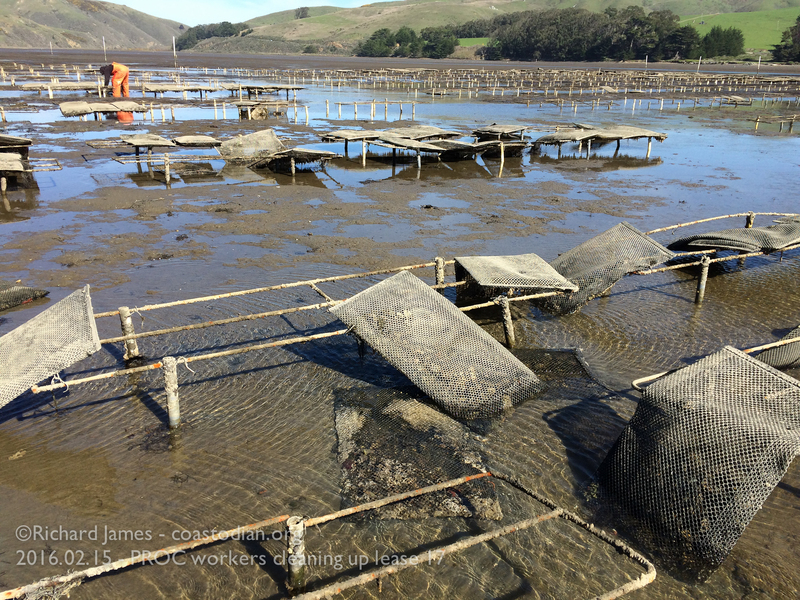 Recently I was contacted by an “Oceanic CSA” in Santa Cruz CA looking to add responsibly farmed oysters to their offerings. 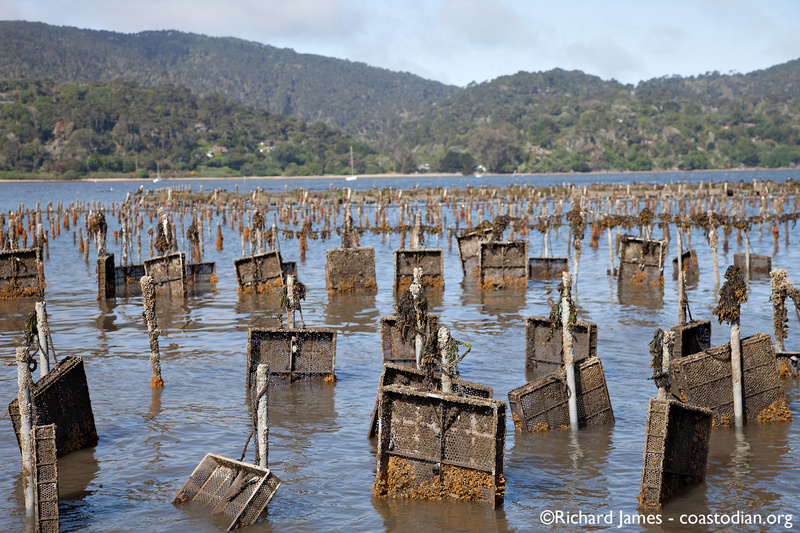 They’d been reaching out to various oyster farmers in the Tomales Bay area and my name kept coming up. Read about what a CSA is here, and here. 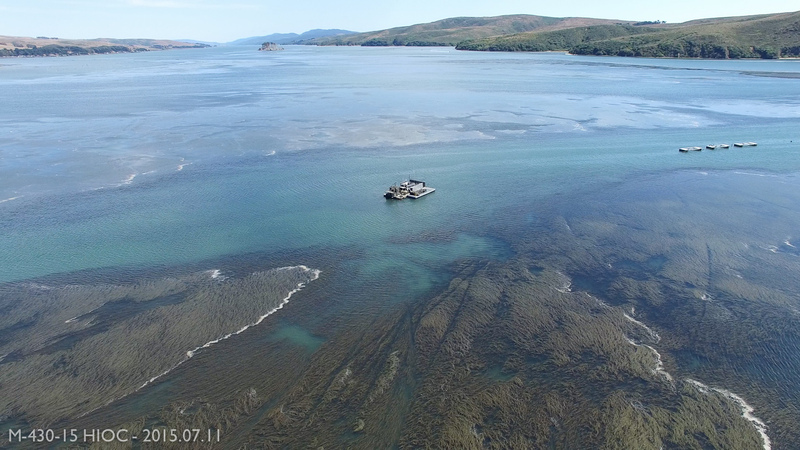 I explained my connection to oyster farming and Tomales Bay as well as who I thought grew oysters responsibly (few), who I thought grew oysters questionably (most). The caller was most appreciative. 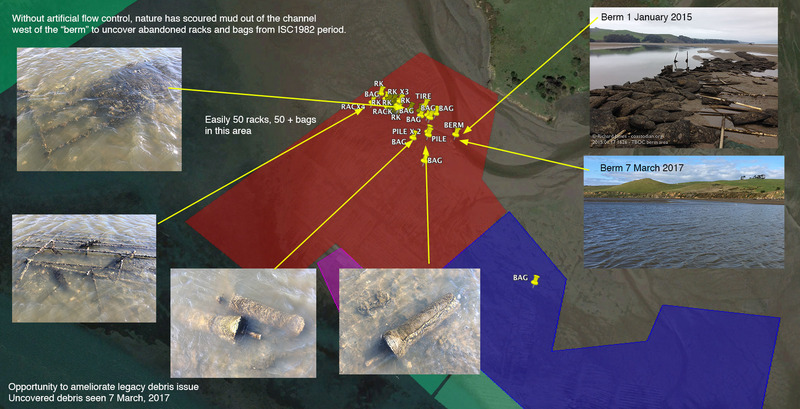 I’ve invited their company to a Tomales Bay kayak tour like never before experienced. They accepted. If oyster growers used gear that was marked to make it easy for an independent observer to identify who was causing problems for the environment (from said gear being let loose on mother earth by wind, wave and poor design/practices) it would be easier to promote responsible growers and to contact those growers in need of improvement to their practices, instead of painting the entire region as mess-makers. Uniquely marked gear has been suggested to the Fish & Game Commission (FGC) for some time now. 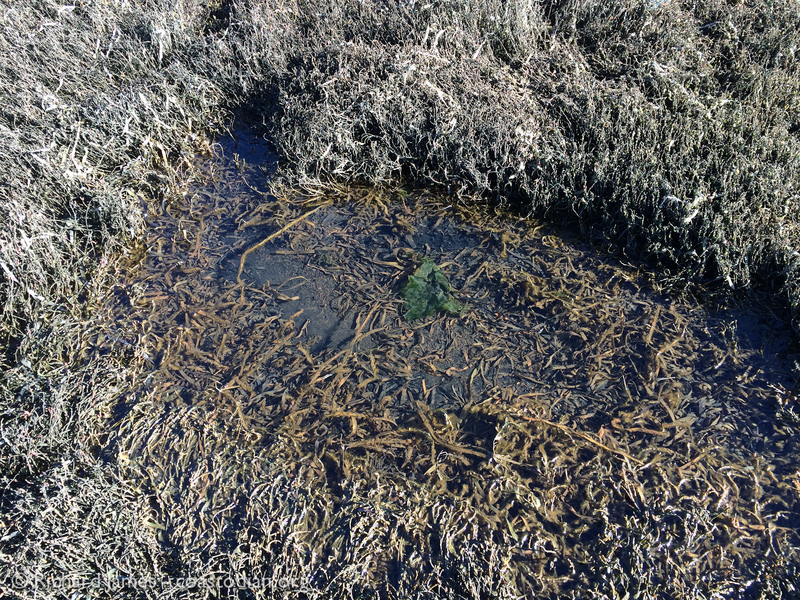 The FGC has been mulling over the implementation of Best Management Practices (BMP’s) for at least a year now, likely much longer than that, with little more than meeting agenda items to show for it. I did hear the President of the Dept. 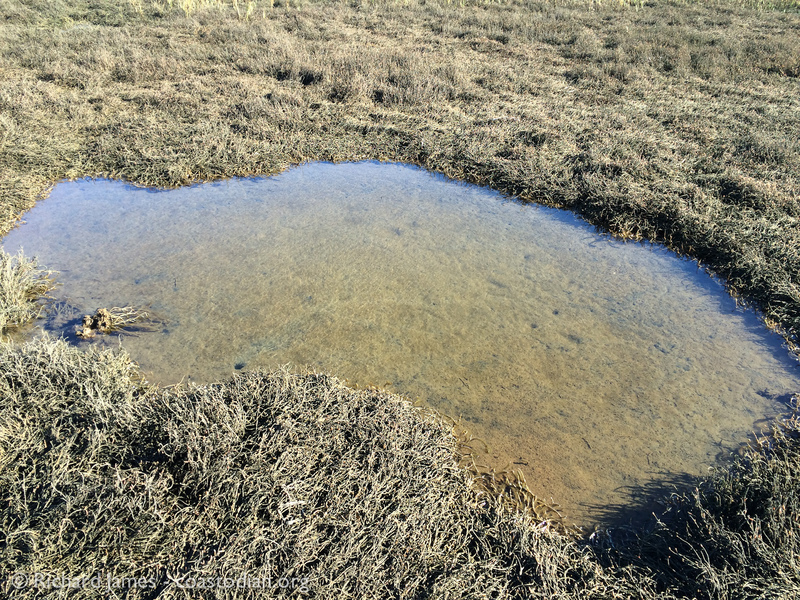 of Fish & Wildlife say at the last meeting I attended (Feb 2016 – Sacto) that they need to update the escrow language in the leases, they need to get BMP’s in the leases, and they need to do it right. Let’s hope they also do it soon! To be fair, The Commission has, at last count three vacancies. Which means more work for the current three commissioners. I wish them the best in filling those vacant seats with capable commissioners. 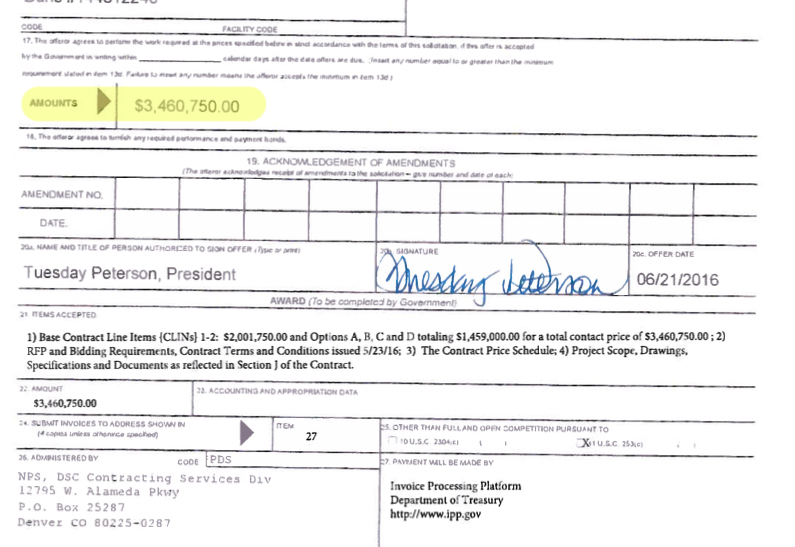 I’ll do all I can to show The Commission what is actually taking place on the oyster leases in California. 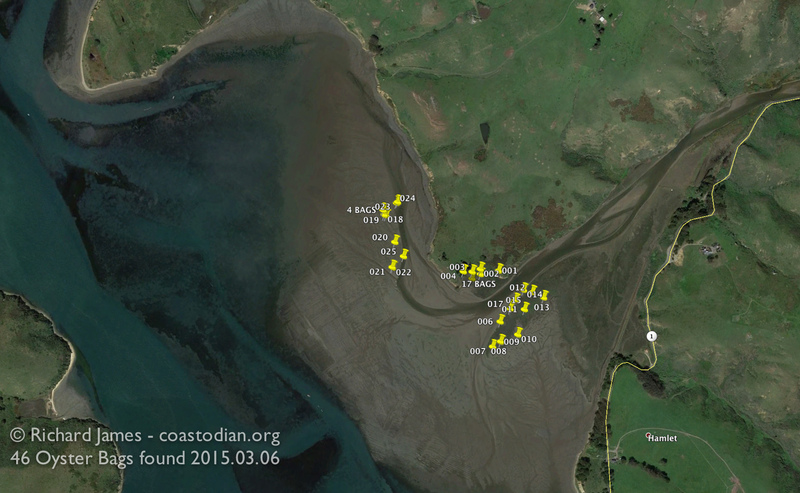 You can read about what I suggested as BMP’s in April 2015 here. 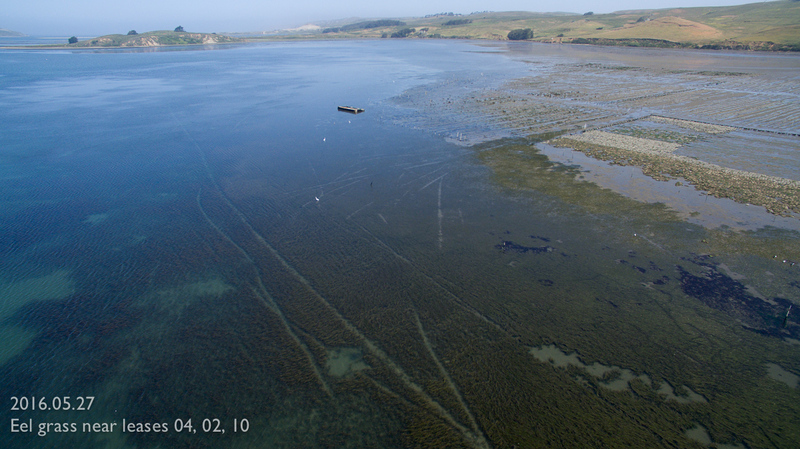 Tomales Bay at mouth of Walker Creek – public land leased to private companies to grow Japanese oysters, Atlantic oysters, Manilla clams. Next related post maybe found here. 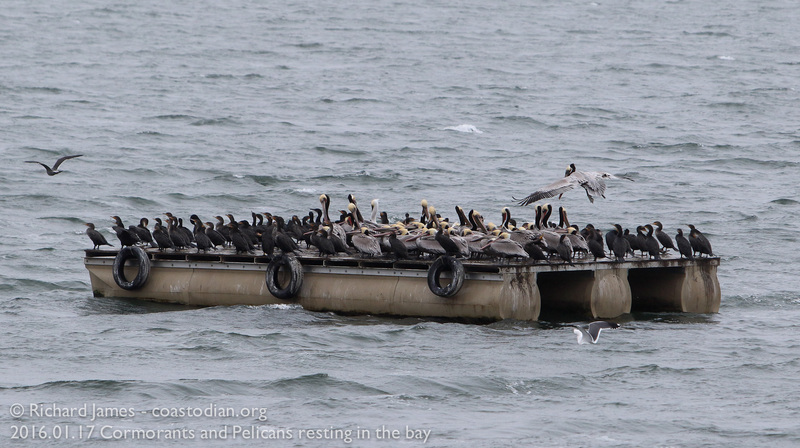 Tomales Bay is so beautiful, people come from all over to enjoy it in a variety of ways. South of Tony’s Seafood is a popular spot with the roadside fishing crowd. Read past posts on this here and here. They seem to have improved their habits lately and are packing out most of what they bring with them. 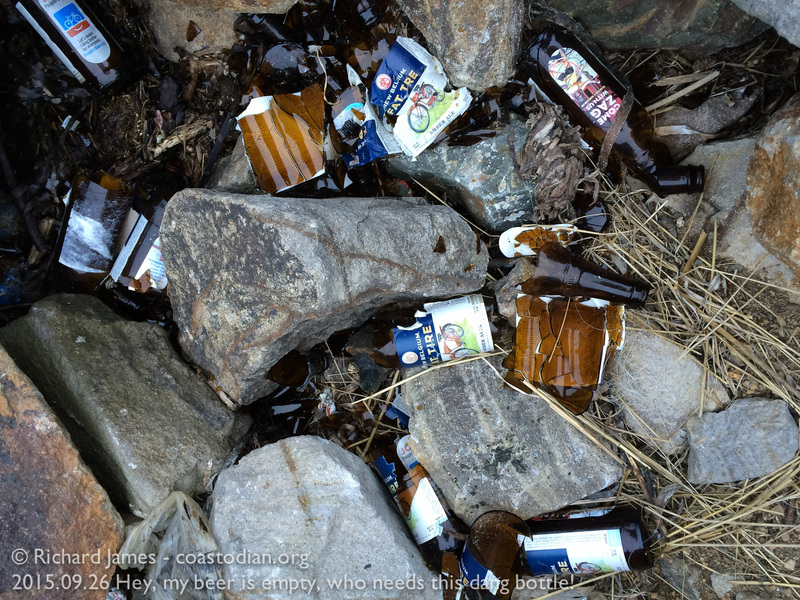 bottle empty, why recycle it when you can smash it on the shore of this gorgeous bay. As always, click on an image to see a larger version of it. 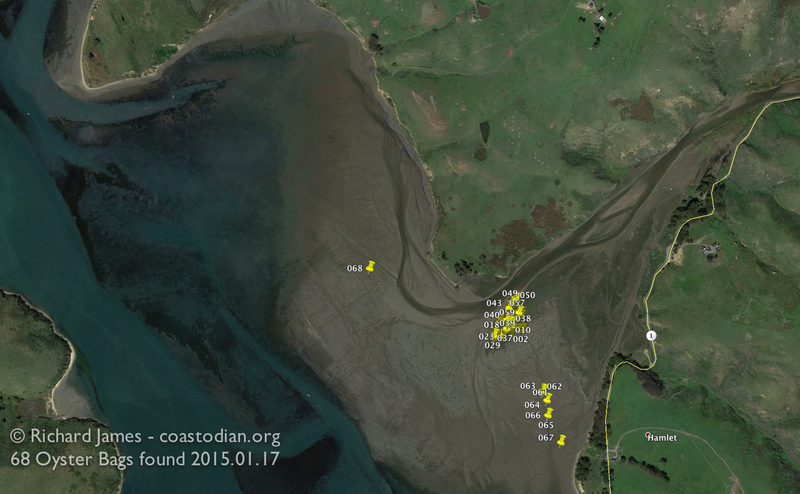 Further north is a place the wind-surfing crowd calls Grassy Point. Windy days you can see some high speed surfing near here. Unfortunately, some people seem to think that once they are finished consuming a beverage or meal, or engaging in other activities, all they have to do is toss anything they don’t want along the shore of the very beauty that brought them here. These two were responsible up to a point. Such respect for so beautiful a place as Tomales Bay. 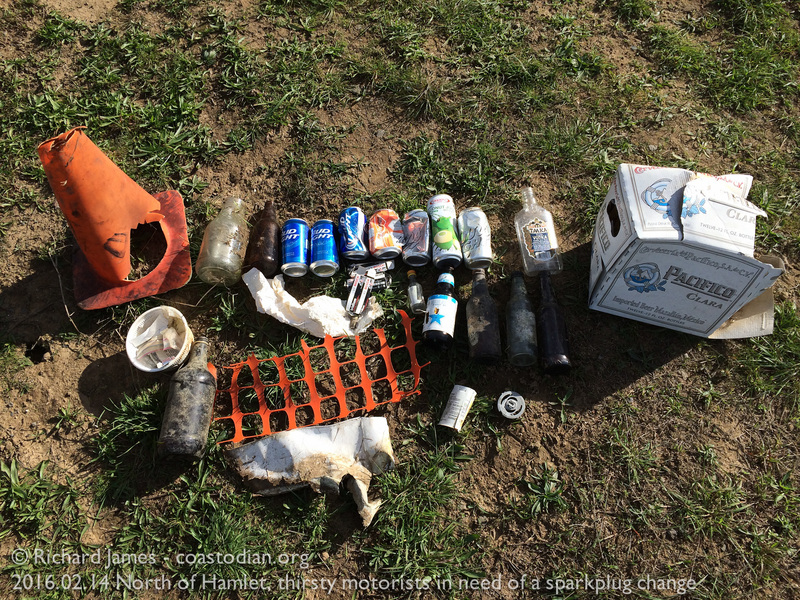 Further north, just above Hamlet we find where some thirsty motorists decided to change the spark plugs in their ride. 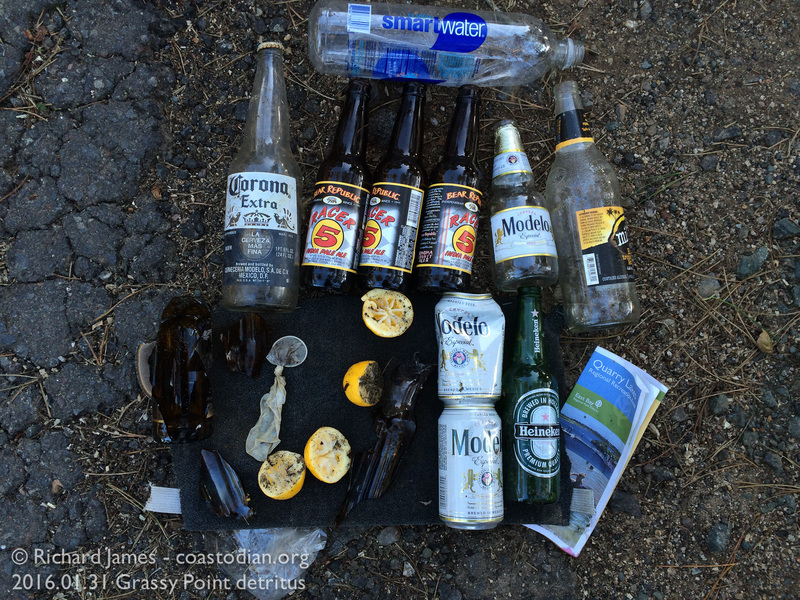 Too bad they felt the need to dump their trash along the shore of beautiful Tomales Bay. That ramen cup below the orange cone was home to a sleeping garter snake I rudely awoke. My first snake sighting of 2016 and a very early start to spring. I declare it spring upon seeing my first snake in the wild. 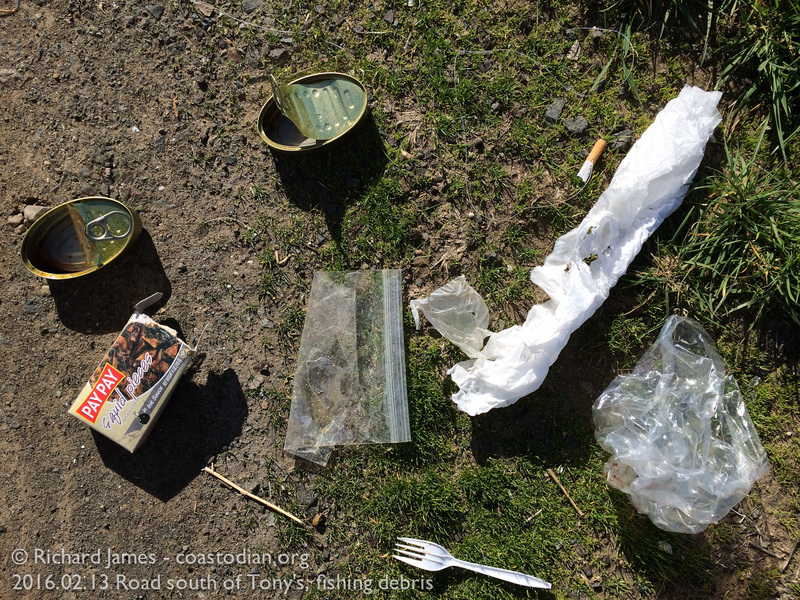 Tomales Bay brings me much joy, that is why I spend so much time cleaning up the messes I find made by others. I show respect for something I cherish. 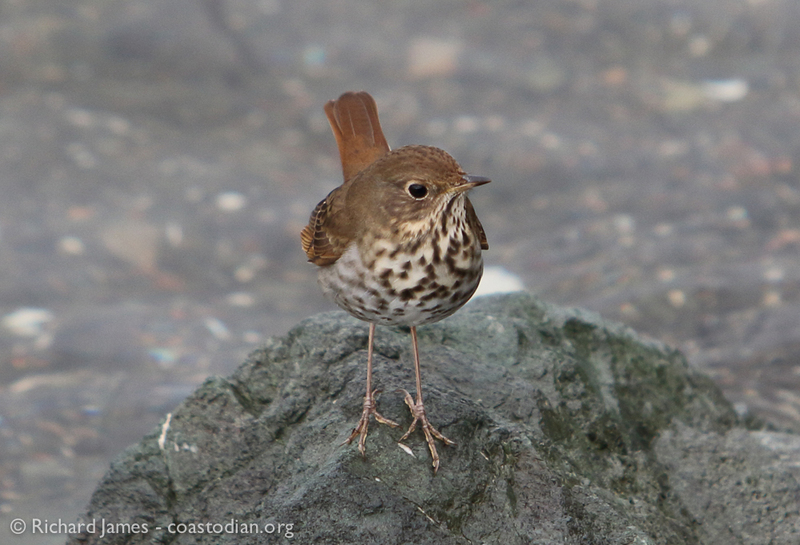 Let’s end this post on a more upbeat, beautiful note with some close-ups of a juvenile hermit thrush hopping on the rocks in search of food at Nick’s boat ramp. 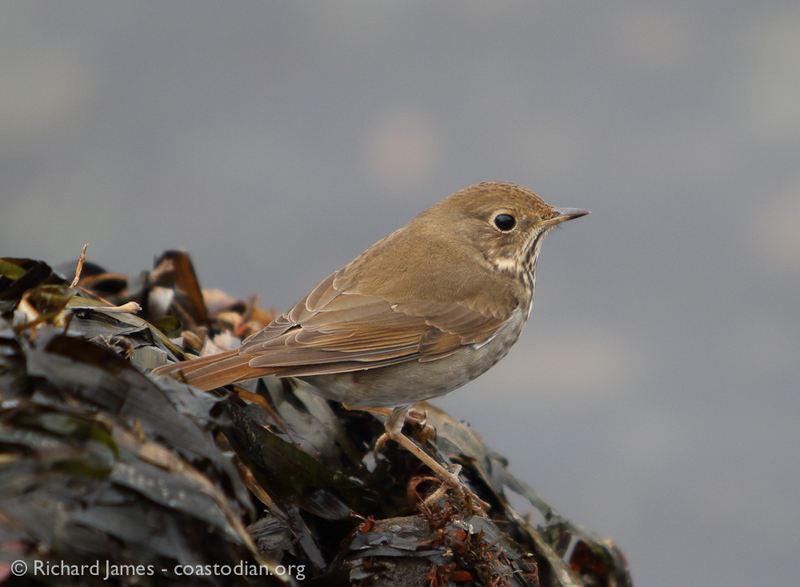 Don’t for a second think I knew that it was a hermit thrush, much less a juvenile. I am a bird enthusiast, not a birder. 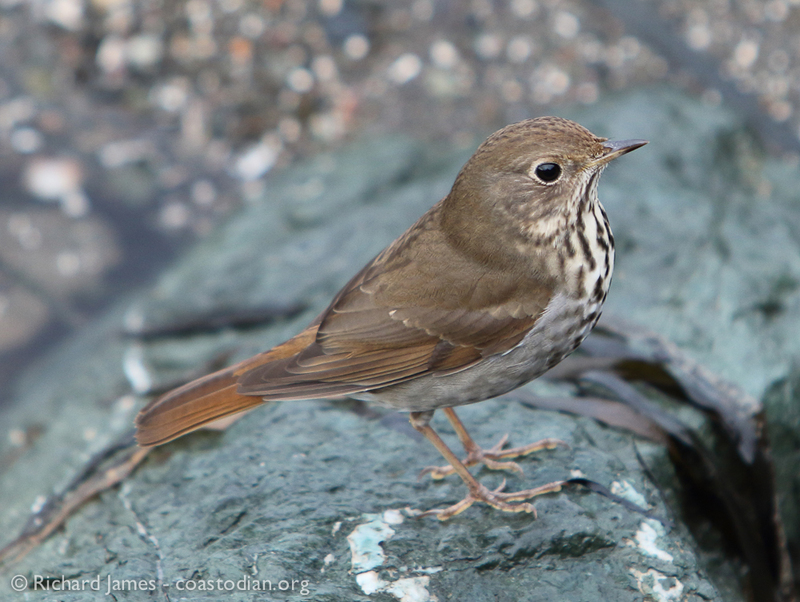 One of a cadre of experts I rely upon, Keith Hansen clued me in to the species, as well as the pale-tipped upper wing covers of a juvenile hermit thrush. 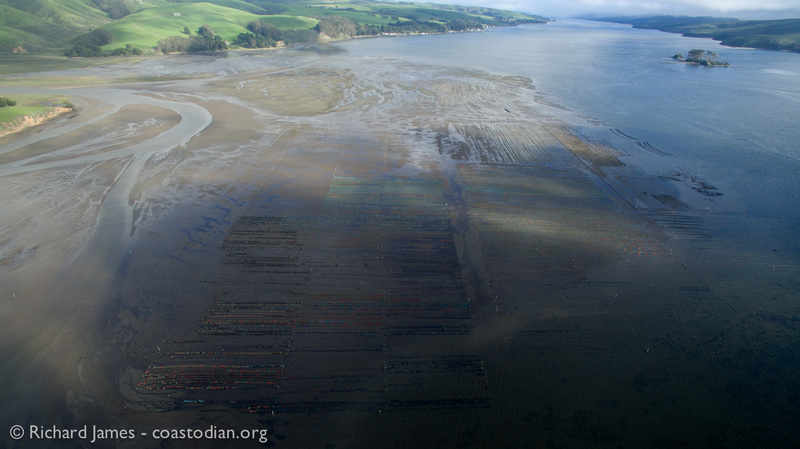 Save our Tomales Bay – 41 Oyster growers put on notice by fish & game commission! 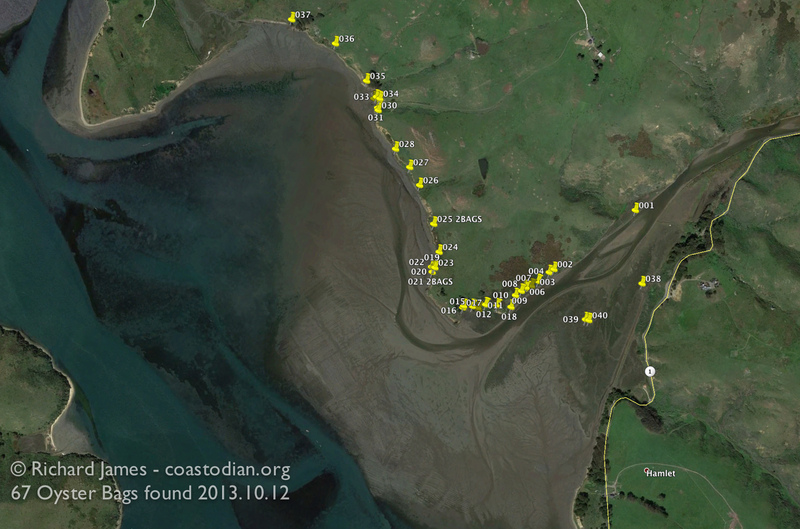 For the past four years I’ve paddled, snorkled and walked in and around Tomales Bay as I enjoy this jewel of nature. 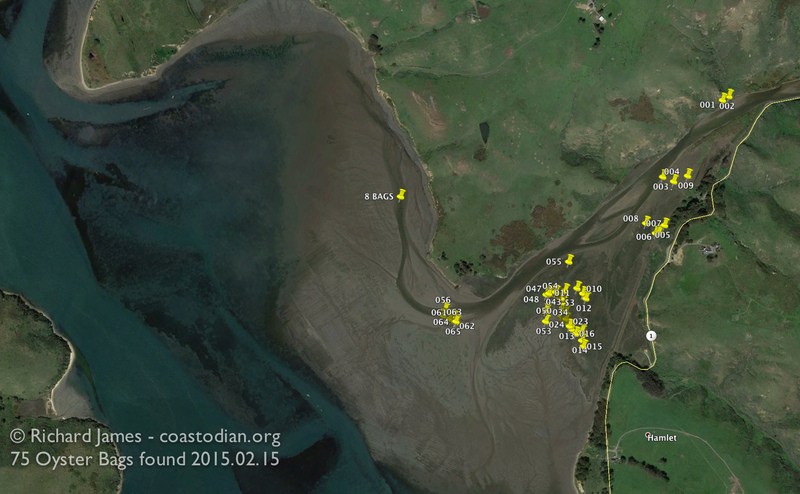 Drawn to the natural beauty, I’ve recorded thousands of images of the bay and those who call it home. 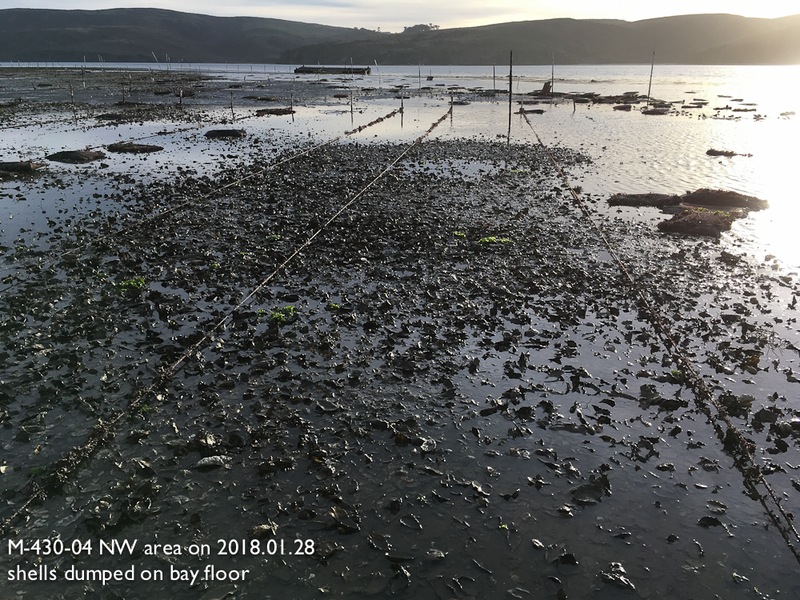 Humans make their home along the shore of Tomales Bay, recreate in the bay and along the shore, as well as extract a living by growing non-native shellfish in the waters of the bay. Unfortunately, humans are too often careless in how we treat our home, which also happens to be home to thousands of other species too. 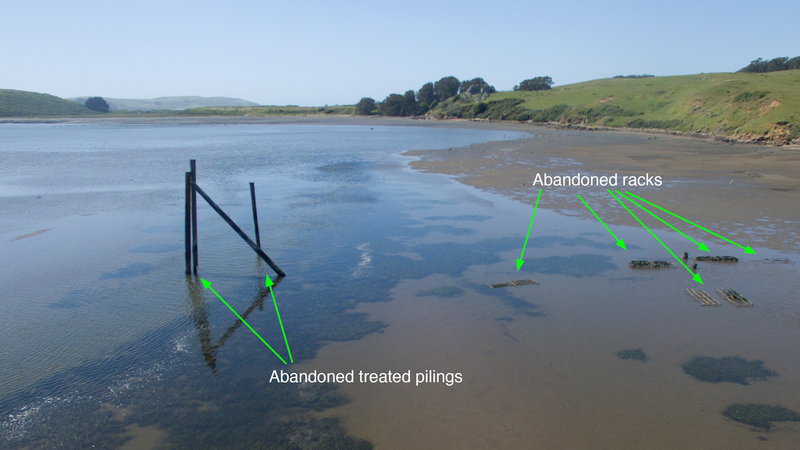 I’ve made it a mission of mine to clean up and protect Tomales Bay from further degradation. In service of this mission, I’ve spent a lot of time over the past year sharing my findings with the growers and government agencies tasked with protecting nature from us humans. 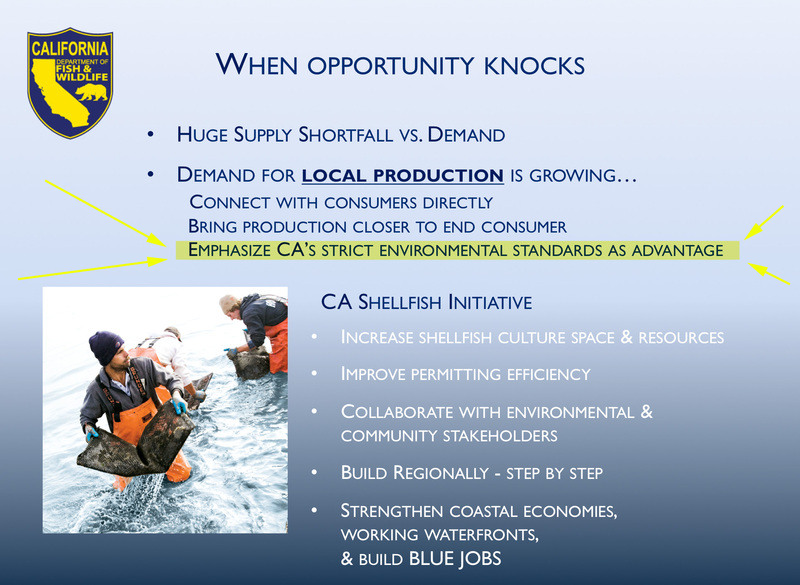 This past week I took another day off work (my fifth over the last year) to drive to Sacramento and speak to the Fish & Game Commission (FGC) on the topic of renewing two leases operated by Point Reyes Oyster Company (PROC) to grow oysters & clams in Tomales Bay. 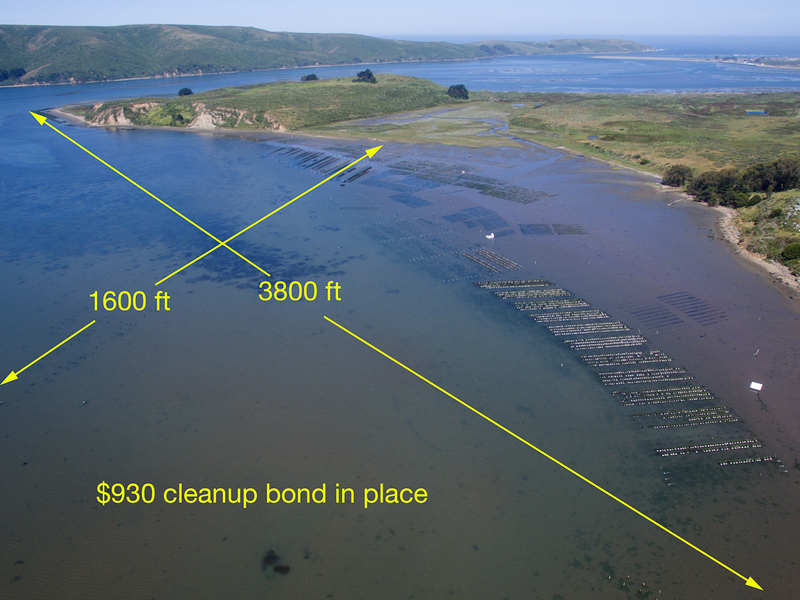 PROC is a company whose questionable practices have had a huge and horrible impact on Tomales Bay. I was shocked to hear that these leases were going to be renewed for another fifteen years. Thankfully, after hearing from myself and others, the FGC decided to NOT renew these leases. Rather, FGC gave a one year lease extension to PROC. 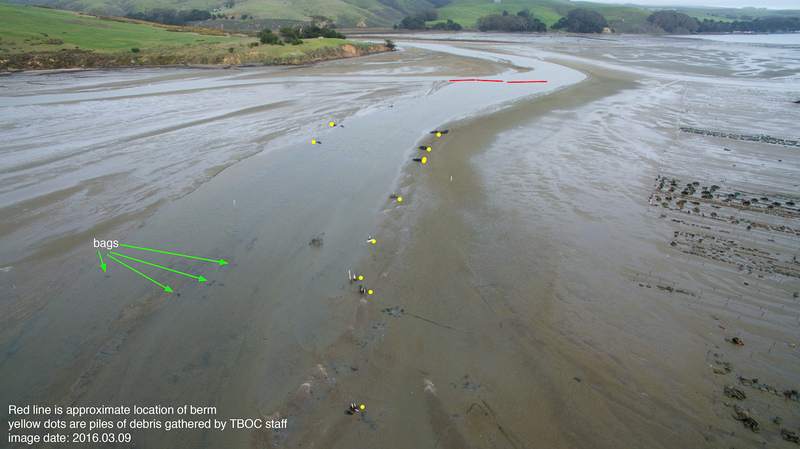 Time to correct past mistakes, clean up debris and prove oysters & clams can be grown in Tomales Bay without destroying Tomales Bay. This happened 8 days ago. 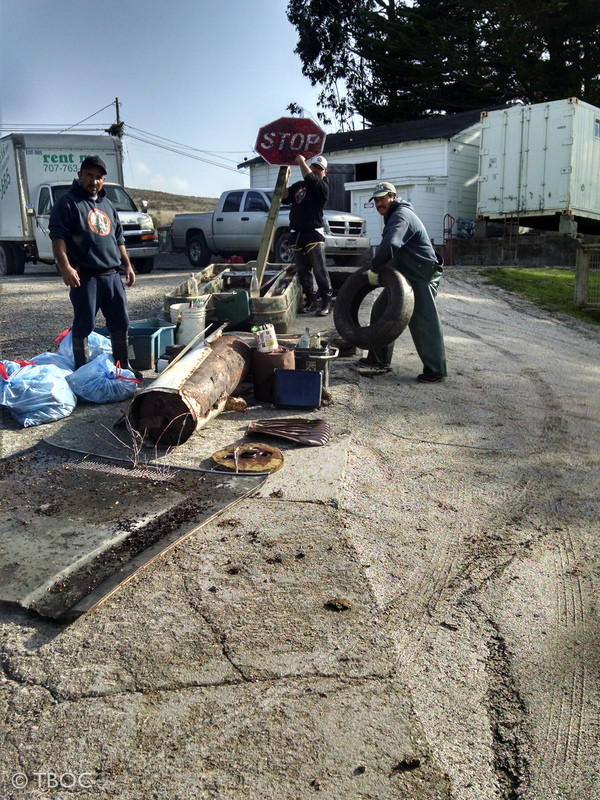 PROC workers undoing years of neglect in Tomales Bay at Walker Creek. 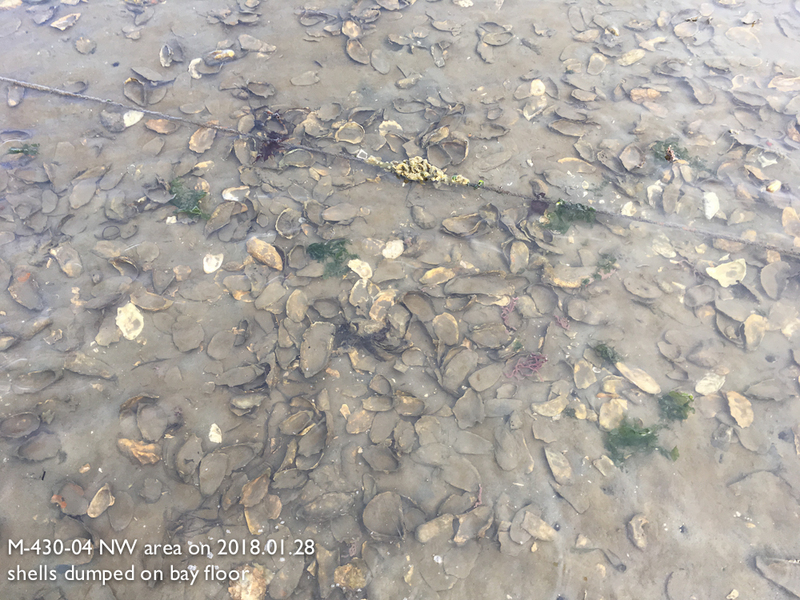 Five days later, this past Monday, five PROC workers were on their northern lease (lease 17) to pick up bags of dead clams & oysters littering the bay, secure bags of oysters to racks that were long ago pushed off by the tides far and wide. 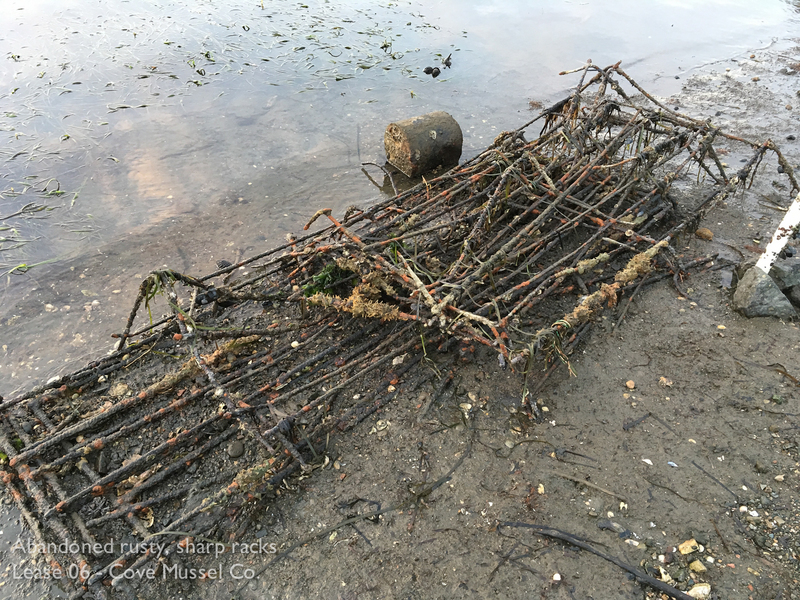 Pick up broken iron racks and bits of racks and hundreds, possibly thousands of lengths of plastic coated copper wire dropped in the bay to rot and leach plastic into the very waters in which these oysters grow. One of their workers assured me that the next day there would be ten workers on this task and that if I came back in two weeks, I’d not recognize the place. I happily took him up on his offer. 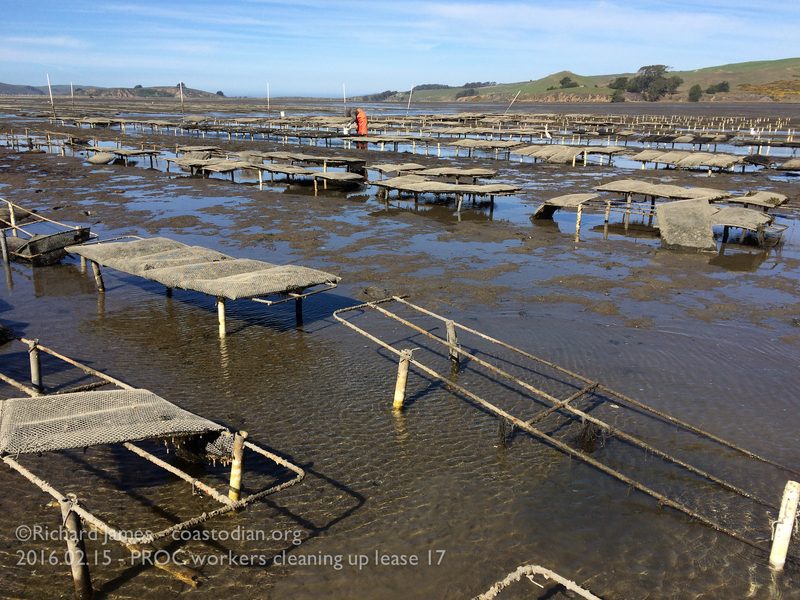 At the same meeting PROC was denied lease renewal, Tomales Bay Oyster Company (TBOC) was given their formal non-renewal (a one year lease extension) for one of their two leases. 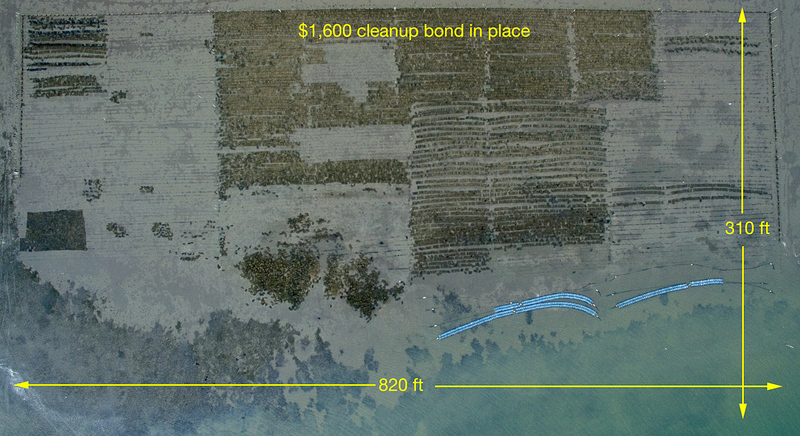 Since learning of their non-renewal, TBOC has stepped up their efforts in cleaning up the bay in which they make their living. I applaud and thank TBOC and PROC in stepping up to undo the damage caused by years of shoddy practices. It is my sincere hope each company continues to refine their work practices and strive to grow oysters in a truly responsible, sustainable way. I also applaud the FGC in not rubber-stamp renewing these leases. 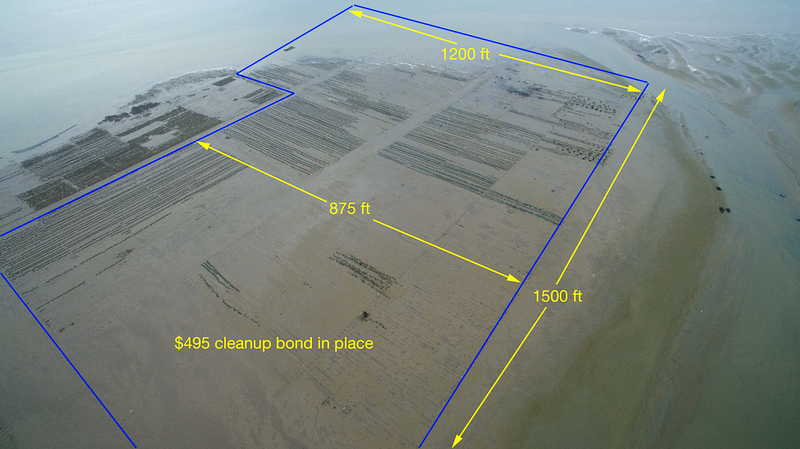 Instead, sending a clear message to growers that the public is watching and demanding that growers respect the bay while extracting profit from public waters. They too need to refine their processes, update lease agreements written decades ago, regularly send their staff out to monitor the public lands in their care. Dept. 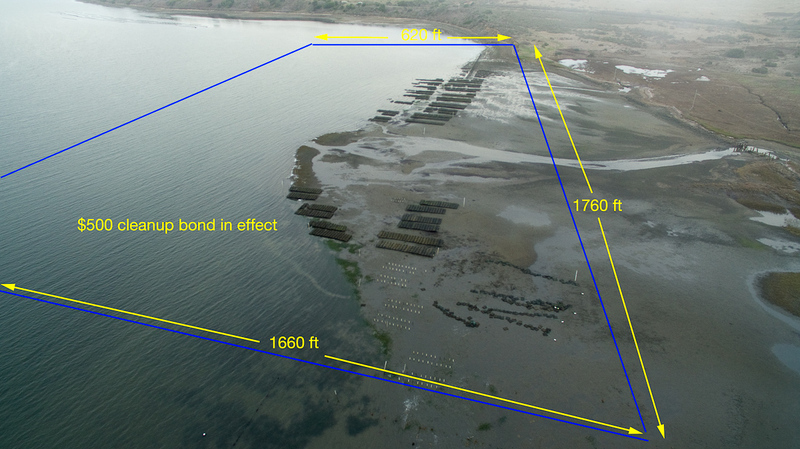 of Fish & Wildlife staff explained to me that these extensions are for up to 12 months. If these growers can demonstrate by authentic, continual action that they have corrected their many years of neglect in less time, the topic of lease renewal can be brought before the FGC sooner. Let’s hope they do. This past week has been a huge one. I look forward to reporting on many more successes of a similar nature. 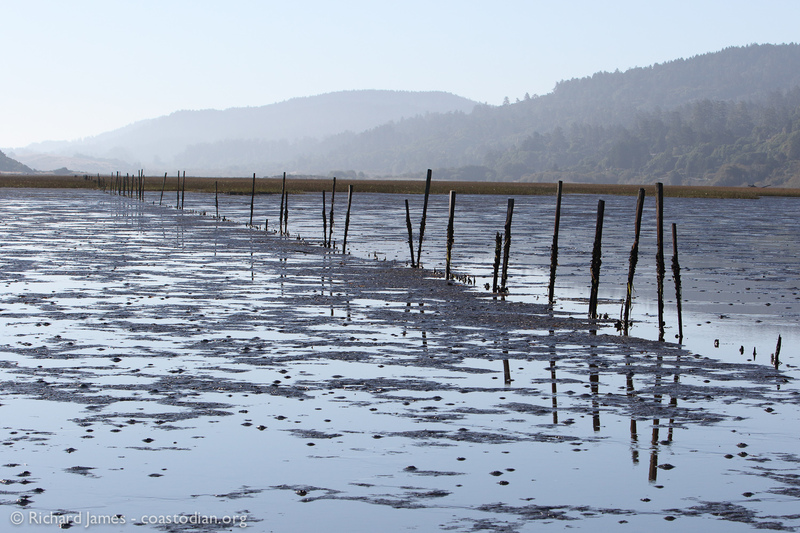 At today’s California Fish & Game Commission meeting the commission voted unanimously to not renew two state water bottom leases operated by Point Reyes Oyster Company (PROC). The Commission voted to give PROC a one year lease extension instead. 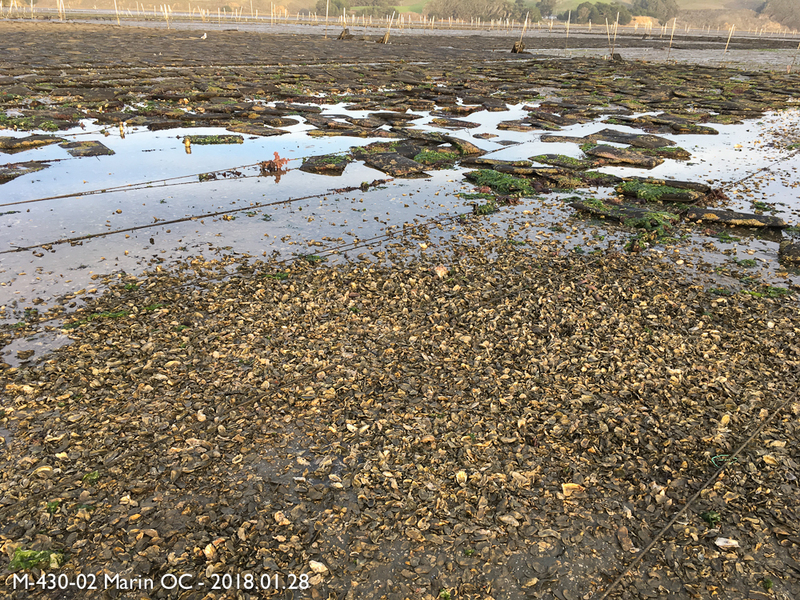 This is time for PROC to clean up their mess, improve their processes and show they can grow oysters without damaging Tomales Bay and all that lives in it. I applaud and thank the commission for taking this action and look forward to working with them as they develop Best Management Practices (BMP) and other lease template improvements to bring their aging lease agreements up to current standards. 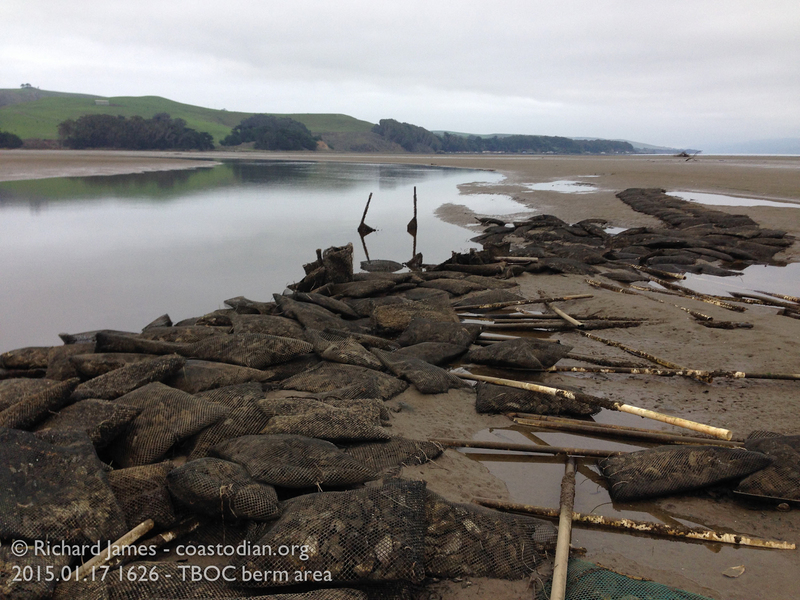 Tomales Bay deserves strong protection from businesses profiting from it. 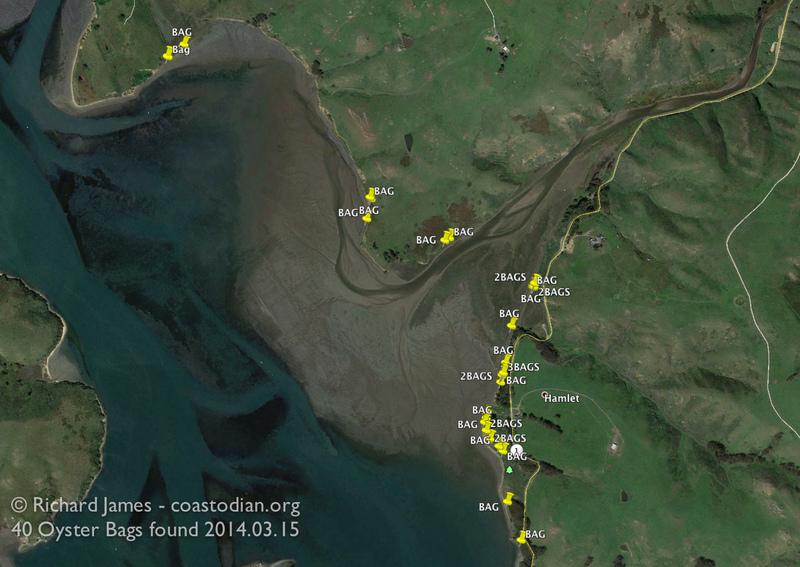 Click the words above “Save our Tomales Bay – 39 Leasewalk M430-17…” to see this entire post. 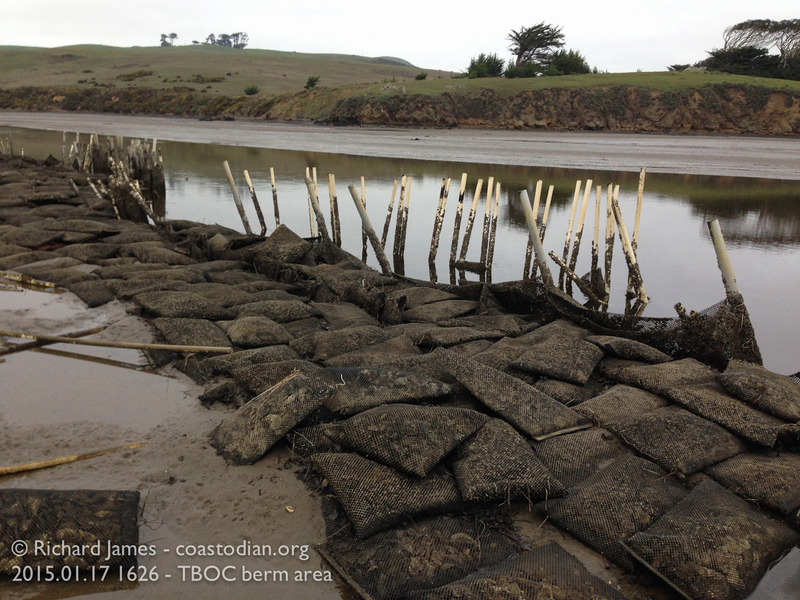 March 2015 I shared some disturbing images of an area used (misused) by Point Reyes Oyster Company to grow oysters using a method known as rack & bag culture. Click here to see that post. 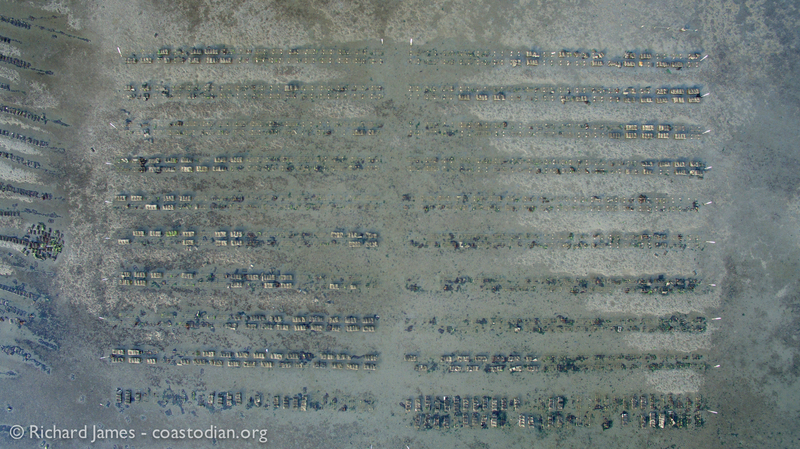 August 2015 a meeting was held at Marconi Center in Marshall where most growers and most agencies with jurisdiction over Tomales Bay were present. 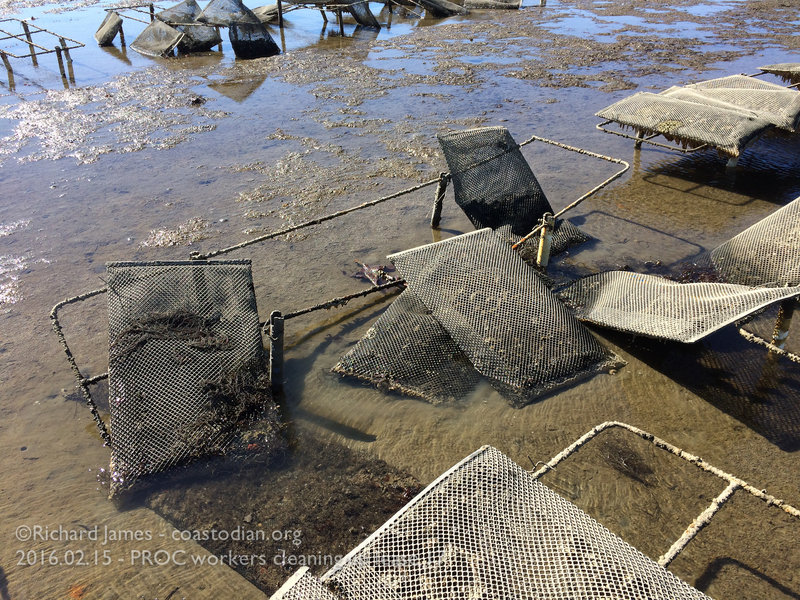 The owner of PROC was present as I made a presentation on the state of the messes left by mariculture practices in Tomales Bay for nearly a century. See that presentation here. At this meeting, the owner of PROC stated that he did not like losing gear and would appreciate it if I, or anyone else that found his abandoned oyster/clam bags would simply return them to him. 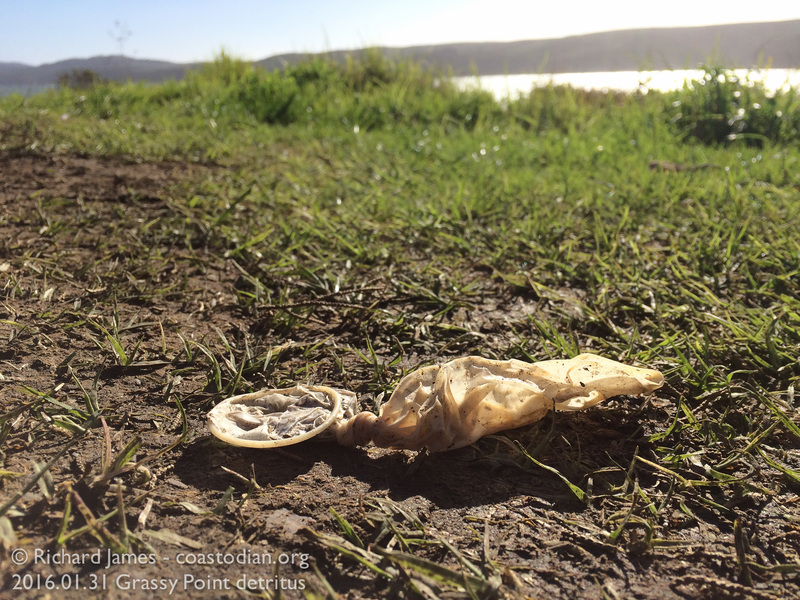 Another attendee of this meeting, Tom Baty mentioned that as the leader of the Tomales Bay cleanup project for 11 years, this group, at the suggestion of the growers, would leave found bags at the boat ramp at Marconi Cove for the growers to pickup. Tom stated that no bags were ever picked up by the growers. 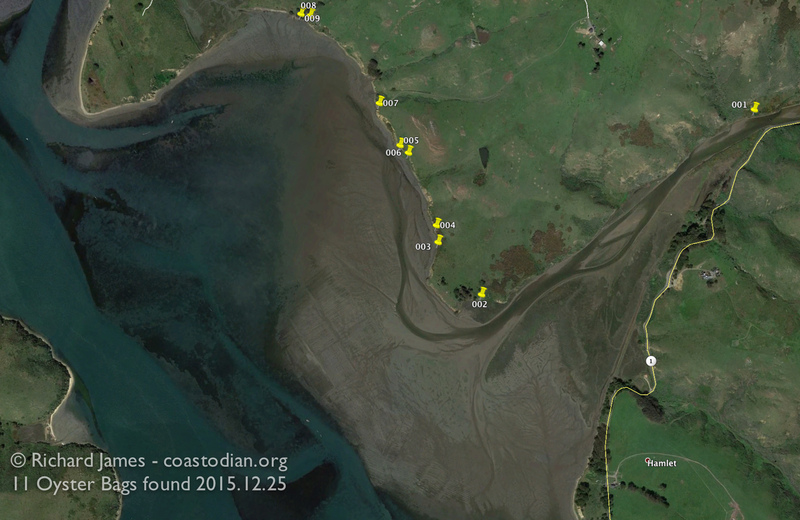 November 2015 I recorded images of this area yet again. 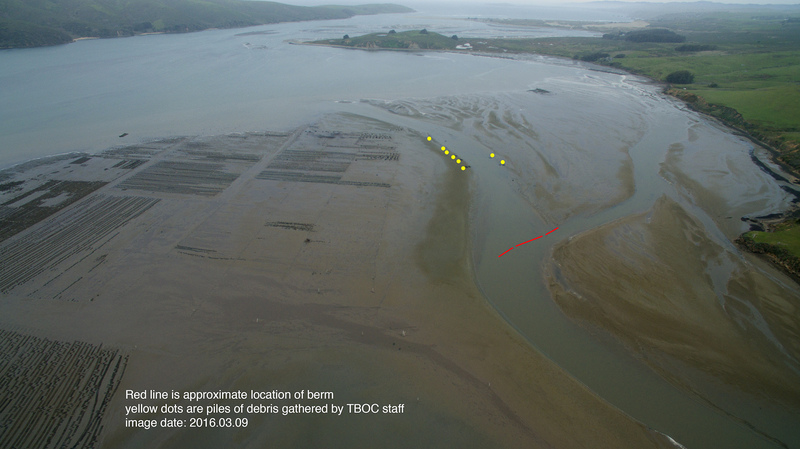 It appears that no effort had been made to pick up any of the bags strewn about on the bay bottom. Watch the 6 minute video below and see for yourself. Click on this image, then click again to see it in great detail. Overhead view of rack & bag culture area on lease M-430-17. Harsh winds and waves disperses these bags all over the bay. 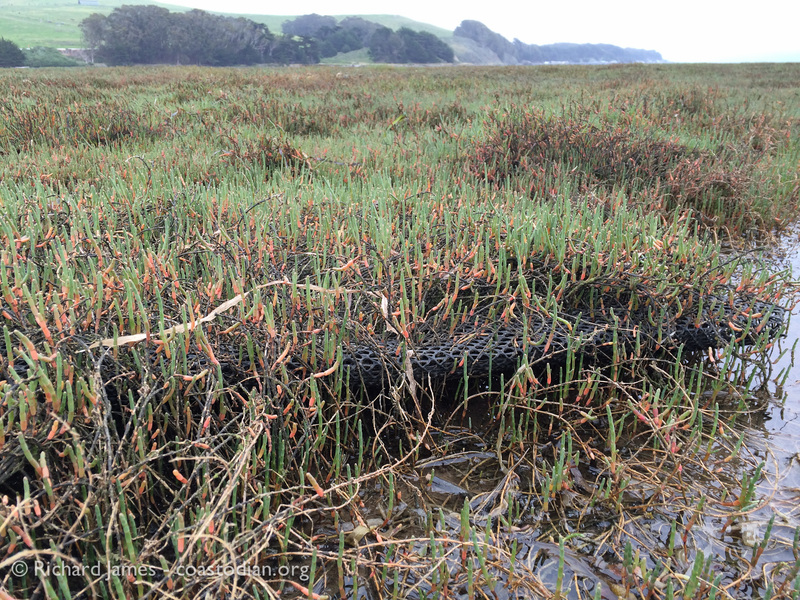 In the wetlands at the mouth of Walker Creek, in less than three weeks, salt grass and pickleweed grow through the mesh and almost completely cover a grow out bag, making it a permanent and invisible part of the precious ecosystem that is Tomales Bay. This bag lay here for less than 3 weeks. If growers what to continue to use public waters to make a profit, they need to show greater respect for the planet. Improving their methods so they lose less gear, and recovering any lost gear themselves. 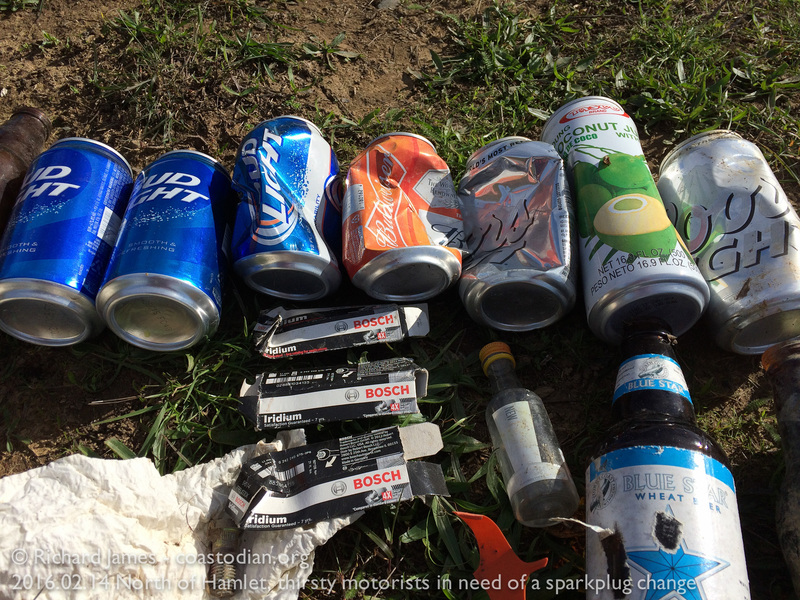 Likewise, the California Department of Fish & Wildlife needs to take a more active role in enforcing litter laws and actually monitoring the leases they administer on a regular basis. 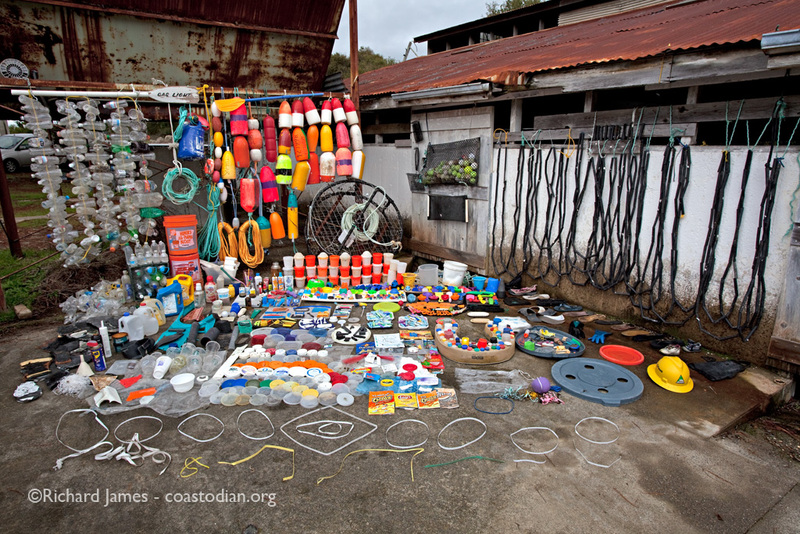 Each year, 8 million metric tons of plastic are dumped into the seas of our tiny planet. Each of us needs to redouble our efforts in making sure we are not adding to that number, and, that we do all we can to help others meet the same goal. According to a recent report by The World Economic Forum, by the year 2050, there will be more plastic in the sea than fish. CSIRO researchers predict that plastic ingestion will affect 99 per cent of the world’s seabird species by 2050, based on current trends. Study abstract here. Be sure to click to watch on a large screen and click the small rectangular icon in the lower right of the video window to view in full-screen mode. 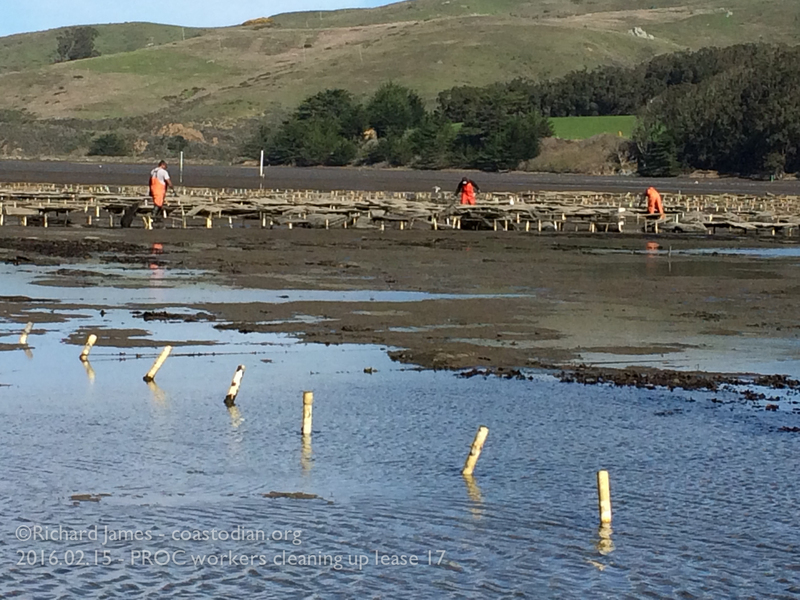 Click on the words above “Save our Tomales Bay – 37 Tomales Bay Oyster Company pitches in…” to see this entire post. 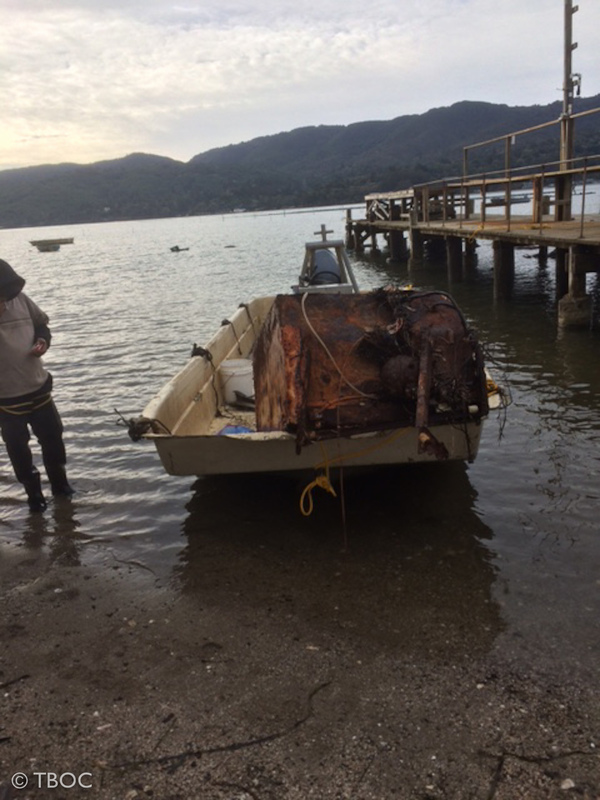 Last month the crew over at TBOC took their skiffs around the bay more than once and recovered a large amount of garbage from the shore. 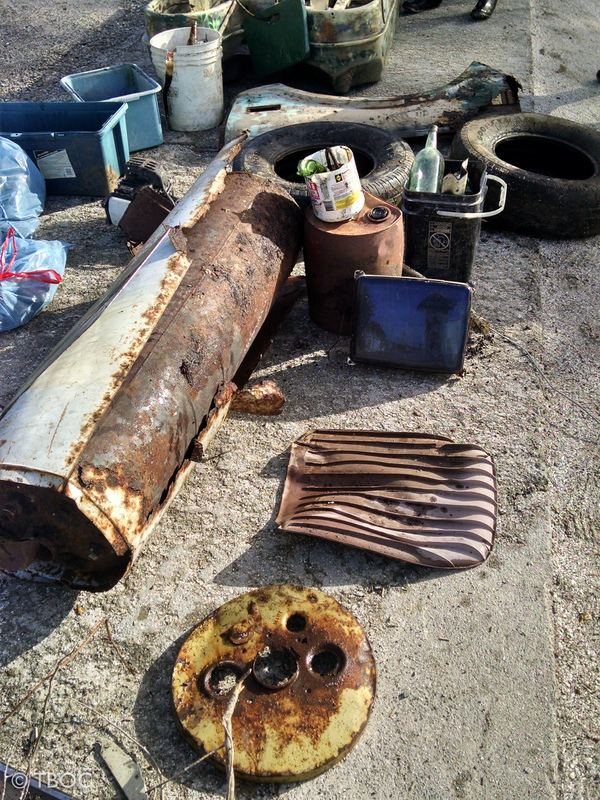 Some of these items like the refrigerator and street signs caught my eye long ago. But with my small kayak, there is no way for me to haul them out. 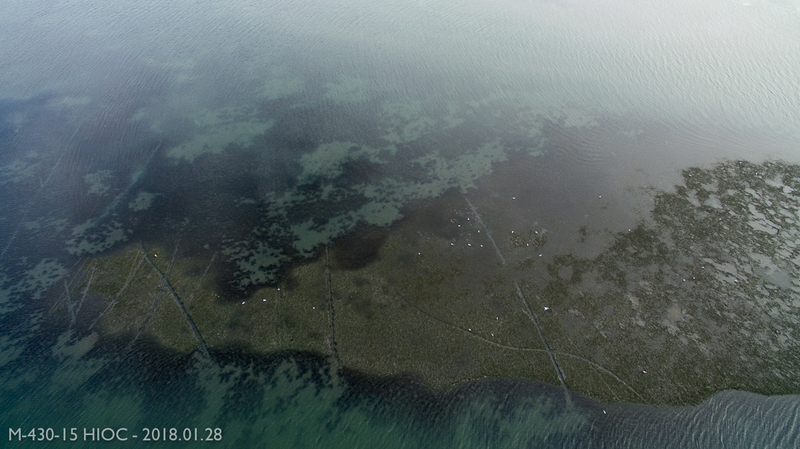 Much thanks to TBOC for patrolling the shore of this precious bay and making a big difference. All images © TBOC. As always, click on an image to see a larger version. 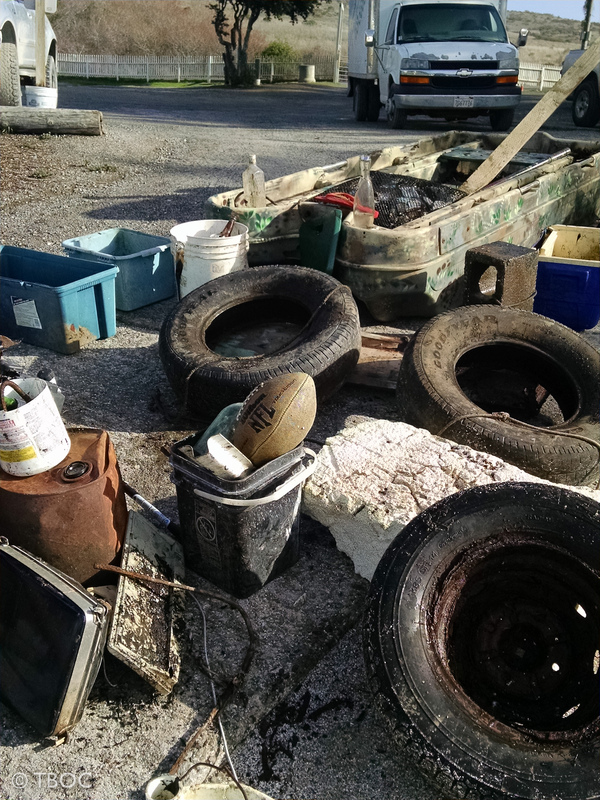 water heater, car hood duck hunter boat, plastic of all sorts, street signs – all picked up by TBOC workers Dec. 2015.
tires, foam football, plastic of all sorts – all picked up by TBOC workers Dec. 2015. 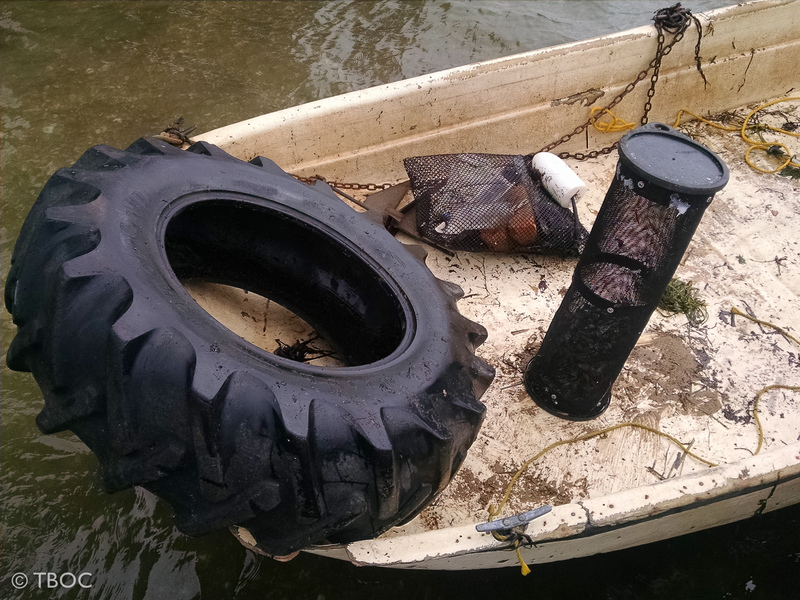 Tractor tire, lost oyster gear – all picked up by TBOC workers Dec. 2015.